One of the most intriguing features of WordPress is that it can be set up to create websites of any design by using different themes. Whether users want to promote their business, create a brand, showcase their work like music or photography or sell their products, WordPress is a one size fits all. In this article, I will list the top WordPress themes for artists who are looking for a platform to promote their talent and works. Artists always want their work to stand out from the rest. Kalium is an ideal WordPress theme for artists that offers a showcase for their work and capture the full attention of the visitors. The theme comes with 13 built-in demos to get the artists started with minimum hassle. If none of the default designs fit the bill, you can also create custom designs through the admin panel of this theme. Wave offers an eye catching display for your artwork. The theme is fully responsive by seamlessly adjusting to various screen sizes. Users have a number of display options to choose from for their artwork, including the choice of a single column display or a 4 column display with options to place content on different positions on the website. Weston is not just a WordPress theme for artists but also servers other purposes as well. The theme also comes with handy plugins to enhance website’s functionality. It offers 12 “Concepts” that you can use to display your work. In addition, the theme offers two layouts for portfolio display, Masonry display and 4 column design. Musicians loves to throw their music out for people to listen and give feedback. Oscillator is a theme for musicians and singers who wants their fans to listen to their music. The theme comes with a built in music stream player. Website designers can drag-and-drop the components of this theme to ensure the perfect design for the client. 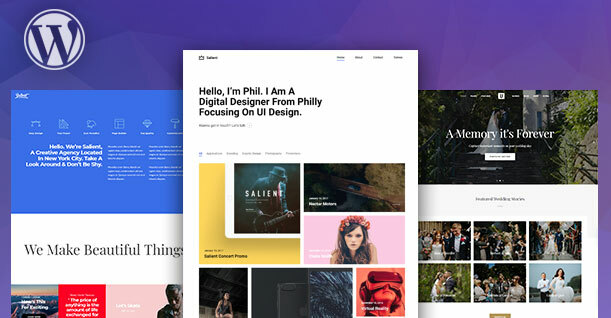 Nifty Fifty is a minimal WordPress portfolio theme for creatives, who want to showcase their works in style. It’s pretty simple and neat – you can create an unlimited number of projects powered by Jetpack plugin. Jetpack will let you easily adjust the layouts: set any number of columns and different styles (Masonry, square tiles, etc.) for your projects. The theme is available in dark and light color schemes. As Nifty Fifty is not overloaded with wrong plugins, you’ll enjoy its performance and overall flexibility. Frost is an ideal WordPress theme for artists. Designers could create either a single-pager or multi page websites easily. The theme supports beautiful portfolios for artists that deal with visual media ( the theme is perfect for photographers and painters, who wish a WordPress powered platform for their portfolio websites). The theme’s “Live Customizer” can be used to make changes to the website and view them in real time. Contrast is an ideal WordPress theme for creative agencies who wants to display their portfolios. The theme is easily customizable and users can choose to display their work the way they want. It also supports Visual Customizer for drag and drop design. On top of all that, the theme is also SEO optimized. The theme comes with a filter-based portfolio and is designed for photographers who wants their work to stand out and grab visitors’ attention. Nice helps users elegantly display their work by using the grid layout. Users can customize colors, background and headers of their website. 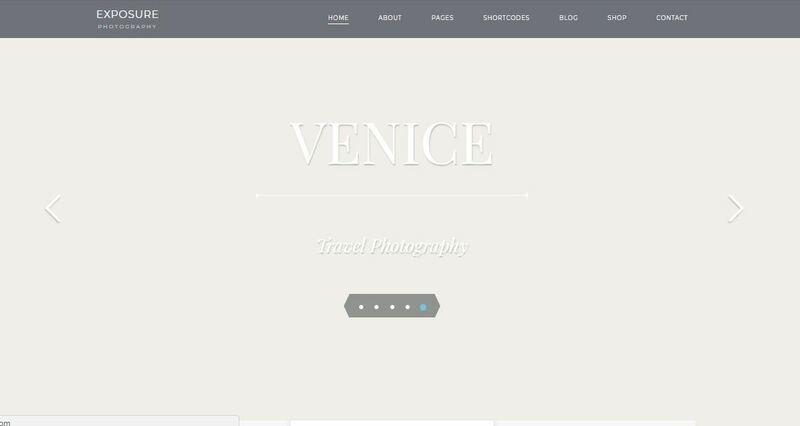 As the name suggests, this WordPress theme lets you expose your work in front of your audience. Whether it’s your photography, painting, crafts or fashion, Exposure will make it standout from the rest and grab your visitors’ attention. The theme is also fully mobile responsive. 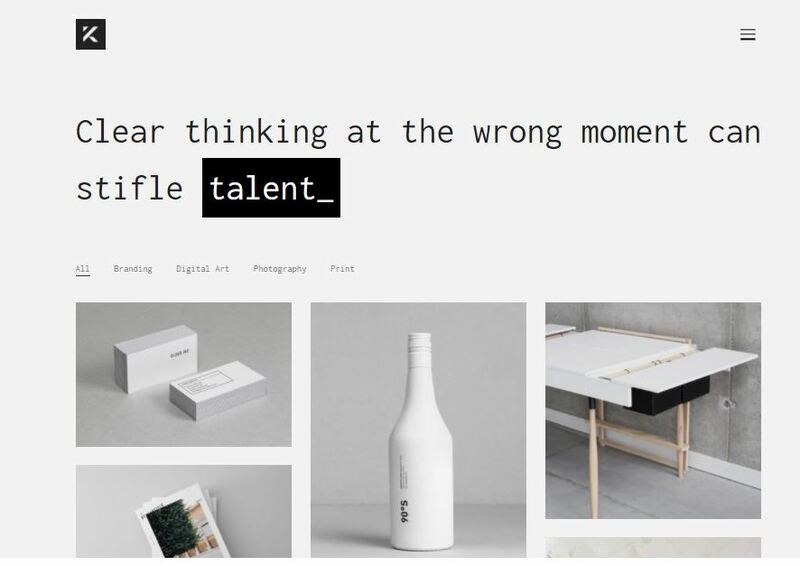 Everly offers a sophisticated layout for artists. The theme is ideal for personal blogs. It comes with 4 different homepage layouts, templates, and galleries. There are unlimited colors for you to choose from and also has dedicated ad space. The easy setup allows you to quickly get your website up and running and showcase your work. Musisi is a WordPress theme for musicians who want to put their albums and music out their for their fans. The theme also allows users to share pictures and videos of their events and concerts, showcasing a complete portfolio for these artists. Musisi is easy to use and comes with a live customizer that users can use to make changes to their website in real time. Bedford is a portfolio theme that is highly responsive on multiple devices. 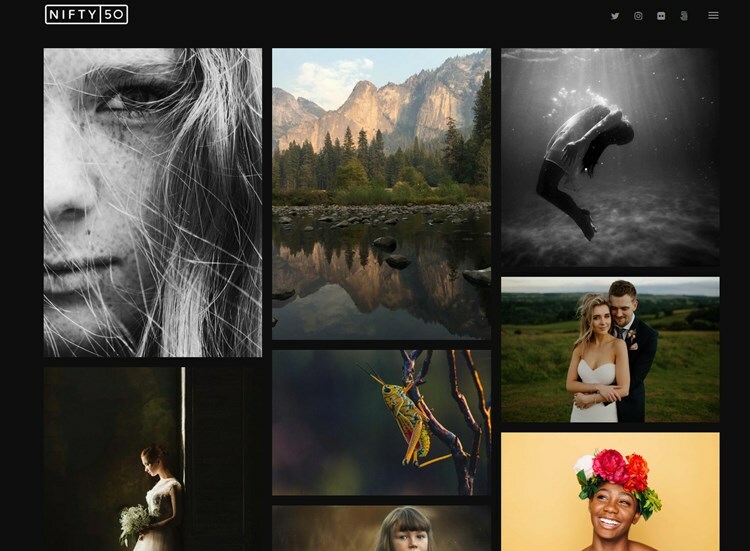 The theme is ideal for photographers as it carries a flexible grid layout. It enables users to easily create beautiful portfolio websites through its in built page builder. A modern, flexible WordPress theme, Studio 8 helps agencies showcase their work and portfolio to their visitors. Users can display their projects, and other content while also creating an online shop. The built in shortcodes will also allow users to manipulate content to their liking. The theme is fast and will enhance the overall site performance. With a custom built slider, AJAX integration and smooth animations, Alpha lets users display their portfolios in a unique way. With a fast loading speed, the theme gives visitors a great overall browsing experience on your website. The theme is SEO optimized and is built with social sharing in mind. The theme includes 6 different homepage layouts and 2 blogs layouts giving users a range of options to choose from for their website design. The theme is responsive and is built with Twitter Bootstrap. Marble is responsive which means images, videos and other content would look great on all devices. Werkstatt allows users to transform their website into multilingual just by installing WPML. The one click demo import makes this theme very easy to use. Werkstatt is also SEO and speed optimized so you don’t have to worry about ranking your website or installing more plugins to improve performance. Curator is a tailor made theme for artists and museums to display their work to their audience. The theme is translation ready which means if your visitors are coming from a different location, they will be able to browse your website with ease. Wonder comes with a theme customizer that lets users handle the most robust of customizations. It gives users control of their website design like modifying colors, effects, CSS and more. The theme comes with 6 plugins to give your website more functionality. Alona is a clean WordPress theme for artists that features multiple portfolio options and multiple project templates. The theme comes with 4 portfolio types; Grid, Horizontal, Vertical, and Projects. The layout can be changed to full width with a single click. 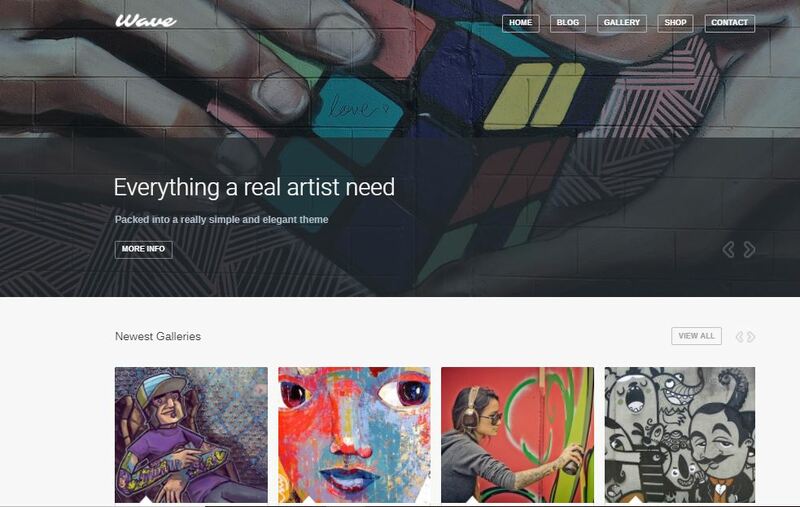 Now that you have found the best WordPress themes for artists, it is time for you to launch your WordPress website and let the world see your art. If I have missed out on your favorite theme, let me know in the comments.